You have enough to worry about. Talk directly to one of our engineers at Shift Events, we’re here to make sure your day goes off without a hitch. Wedding Websites that are as vibrant as you are! 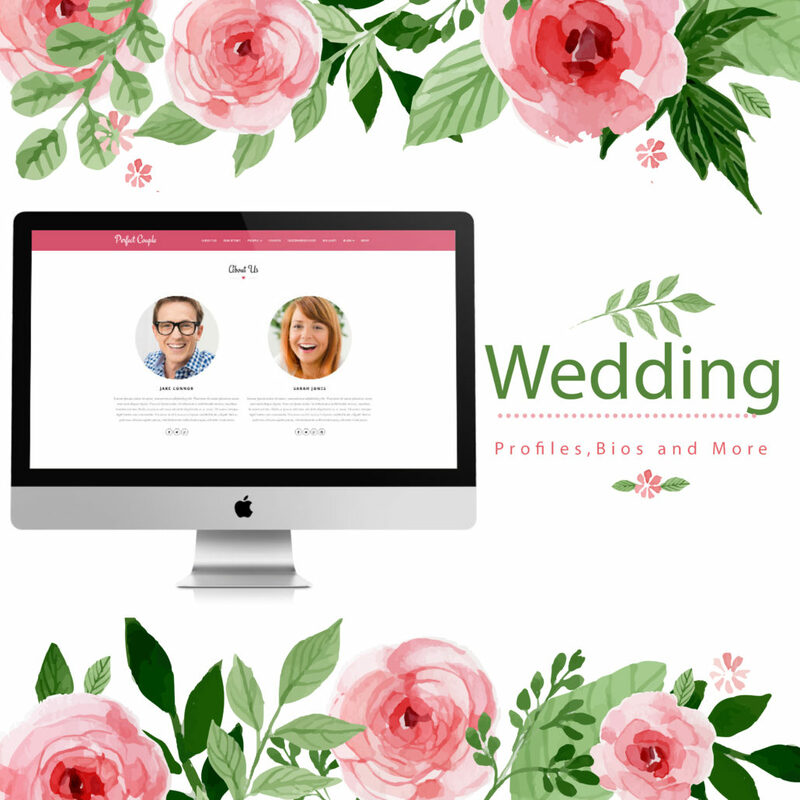 We create the perfect wedding website that makes sharing and coordinating all the details of your wedding a breeze. From managing your guests and RSVPs to capturing the joy of your special day for years to come – It’s all here in one place. Shift Events is a one stop Wedding Website solution for all brides. We believe your wedding website is a life-long keepsake, and we strive to deliver those keepsakes. We work closely with couples to build a personal and visual wedding websites that you can proudly share with your guests. Tailor the look and feel to truly reflect your personal style. We strive to make each customer feel like our most important. Save Time, Save Trees, Save Money with Email Invitations. Deliver elegant online invitations directly to all of your friends and family with Shift Events. 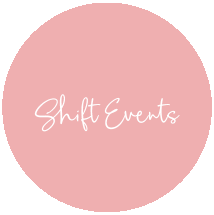 Shift Events is not a do it yourself service, we take the stress off your shoulders enabling you to to focus on the other important things for your special day. Your Vision, combined with our creative flair! Wedding websites are just the beginning. Along with digital invitations and an optimised mobile experience. Cross even more off that to-do list with a one stop shop for your wedding presence – online and we do it ALL for you! In addition to wedding websites, invitations and save the dates, Shift Events is happy to help with creating online birthday party invitations, holiday party invitations, baby announcements, shower invitations, and other special occasions. The story of your journey that has led up to you walking down the aisle is one that you hold close to your heart, but not everyone will have been there for each of the steps that you have taken. 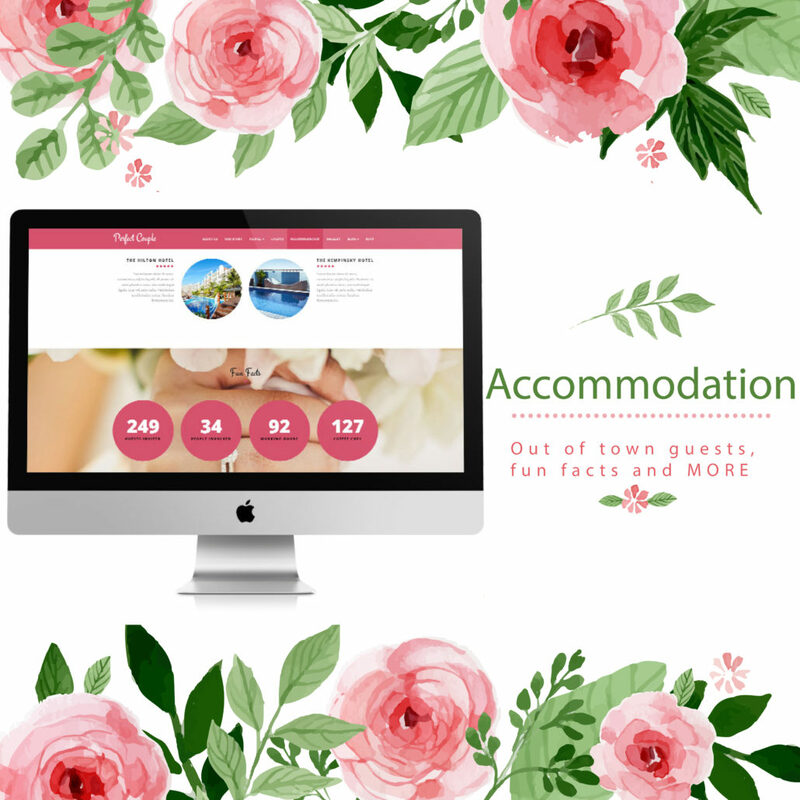 Why not take the opportunity offered by your wedding website to bring your guests up to speed. Where you grew up, how you met, the proposal, as well as a few quirky things that no one else knows are a few of the suggestions that they make to the couples going the website route. Do you fancy yourself as a modern day Shakespeare? Have you considered writing a blog, but you have not found a topic that truly inspires you. 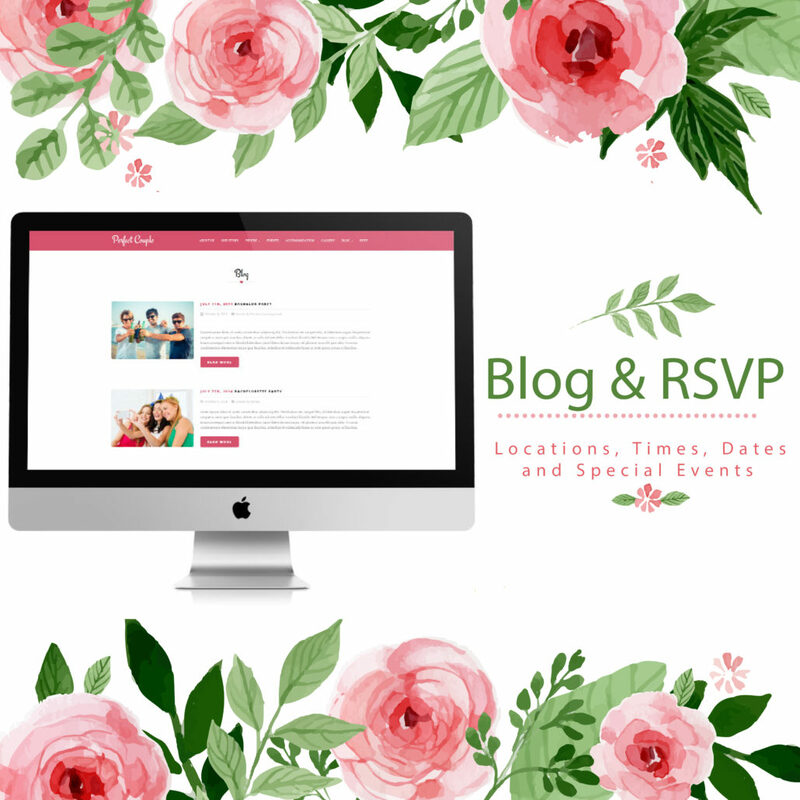 Well now, you can share your wedding planning and other exciting news during the run up to your special day with your guests through your personal wedding website blog. Managing the RSVP process can be a headache, however, an RSVP management tool allows you to see at a glance who has replied, whether they are bringing a partner and what their dietary requirements are. Make your out of town guest’s lives easier by providing them with possible accommodation options in the area. If guests are planning on an extended stay, why not provide them with a few local options for meals or other outings, ensuring that their trip is even more enjoyable. Another great idea is to introduce your bridal party. A photograph along with their names and a short bio will have your guests chatting to them on the day like old friends. 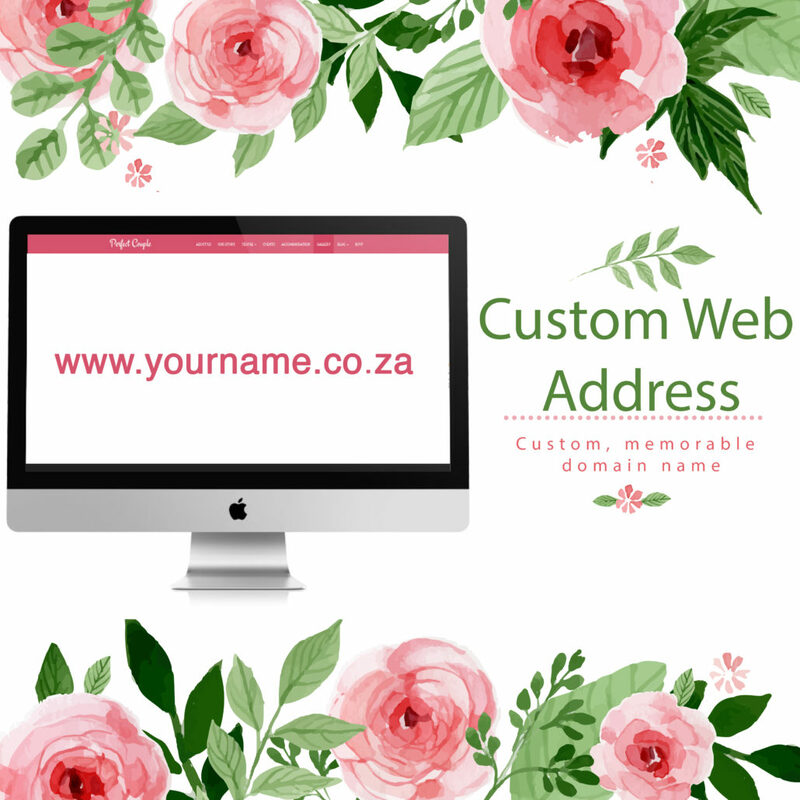 This would mean you could use www.yournames.co.za as your website address. With countless possibilities, you can easily come up with a memorable domain name. This is the where, when and how. 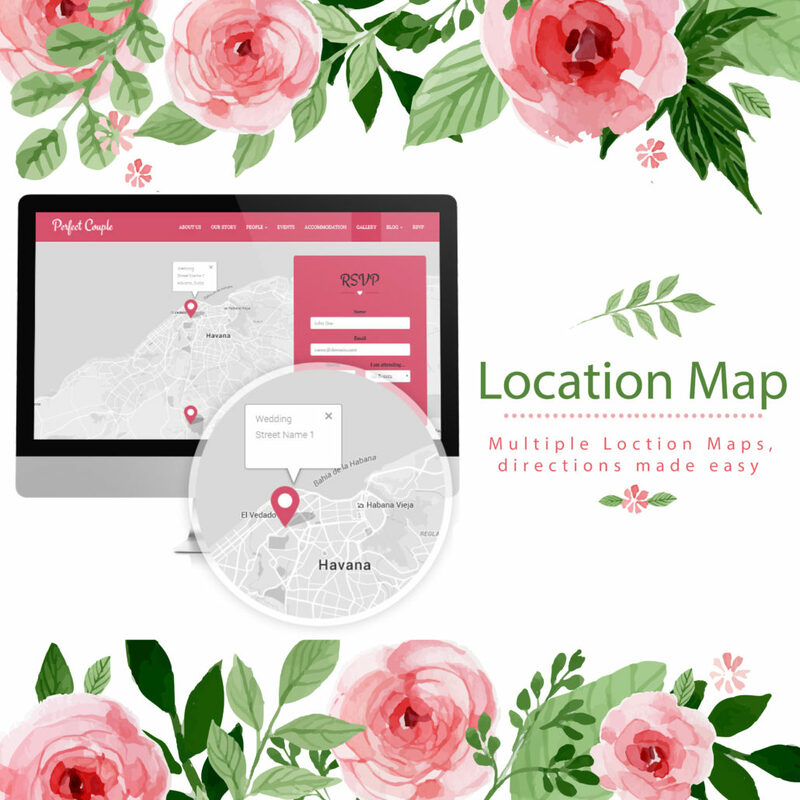 It lists the details of the wedding; any events that have been planned for the lead up to the big day, and provides directions for the events, wedding ceremony and reception. Easily collect and share photos from Facebook, Instagram or your computer. Add your wedding hashtag to start collecting memories from social media right away. 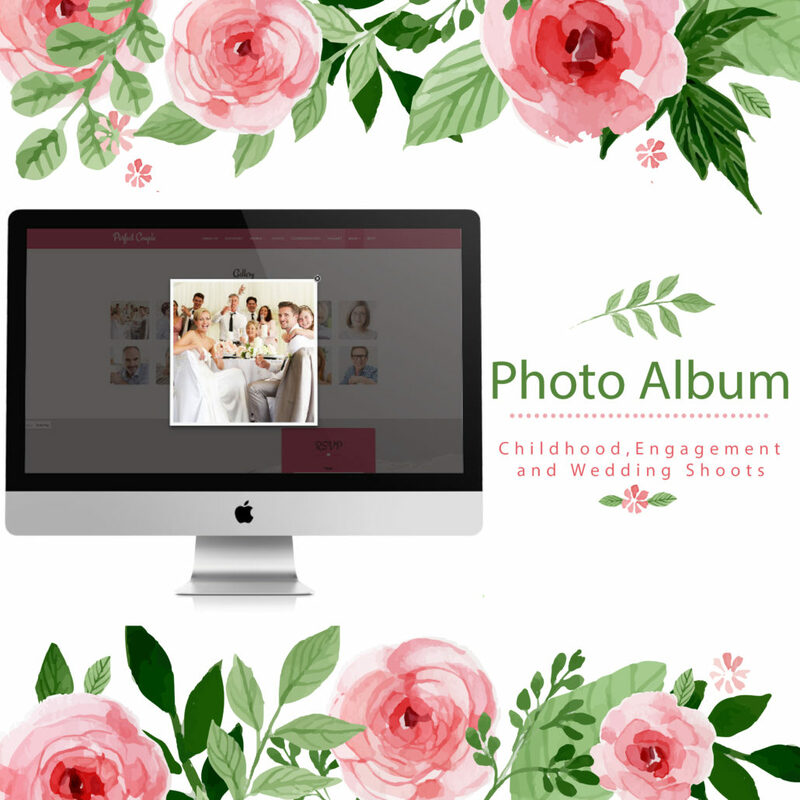 Post photos from your childhood, your engagement shoot and, after the wedding let your guests view your professional wedding photos. Provide links directly to your registry. This allows your guests to see all of the places where you have registered on one page. It is the modern, tactful (and hassle-free!) way to share your registry with your guests. 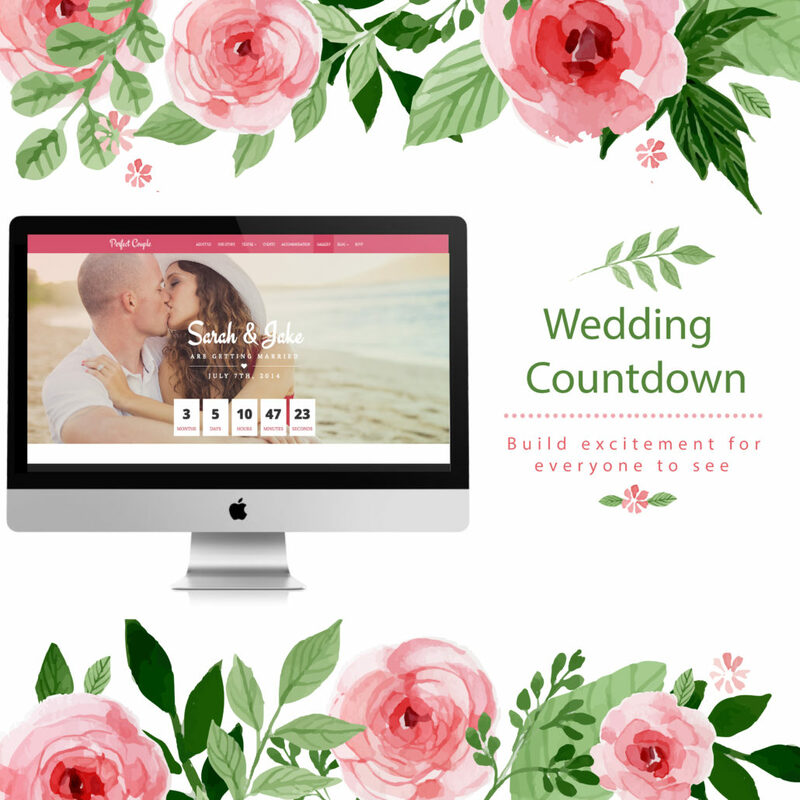 Shift Events knows you have your own personal wedding countdown running in your head, but it will build excitement if you have it on your website for everyone to see. Your guests will love the opportunity to post their best wishes for the two of you on your website. This also gives you the opportunity to share in your guests’ excitement about your big day. In an age where information is available at our fingertips through the World Wide Web and Social Media, it makes sense that today’s modern couple would look for a traditional wedding with a fresh spin. This has resulted in many couples opting to supplement, or in some cases completely replace, the traditional wedding invitations with a wedding website. There are many benefits to setting up a personal wedding website. Your website can be the go-to-place for information about your wedding day, making your life easier with an RSVP system that allows you to see which guests will be attending and what their dietary requirements are. 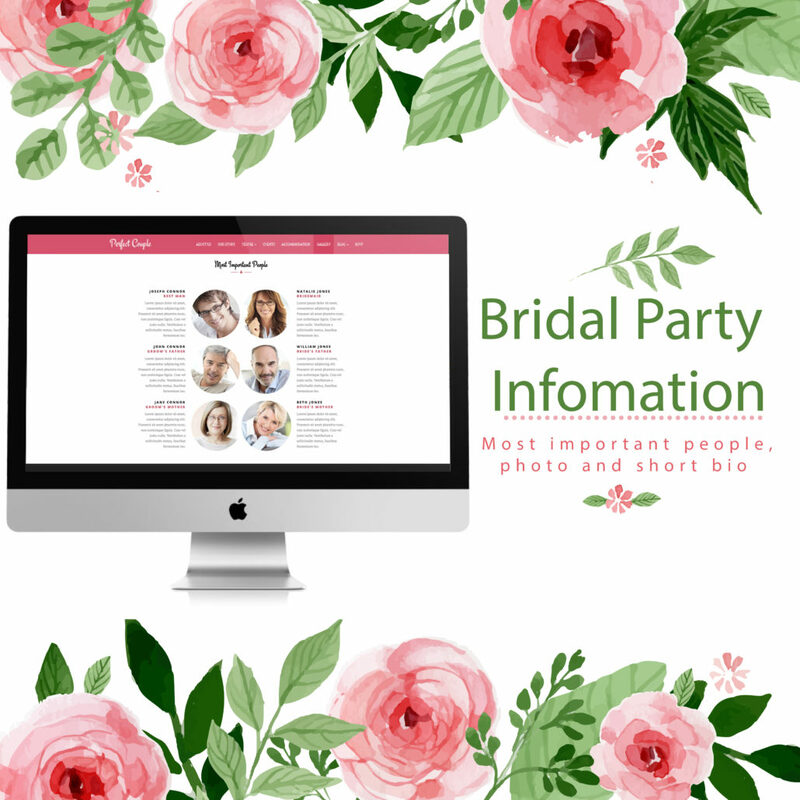 Your personal wedding website will introduce a special personal touch, by allowing your guests to learn more about you as a couple, and introducing them to your bridal party. You want your wedding day to be memorable and unique, and we would love to be part of the team that helps to make that happen. Choose your personal wedding website package and a template that you feel captures the magic of your vision for your special day. 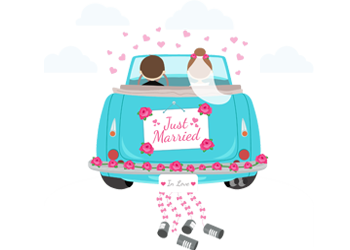 Once you have done this, we will work with you to ensure that Shift Events develops a wedding website that is not only special to you as a couple, but that you want to show off to the world. please fill out this form and we’ll be in touch with you shortly.